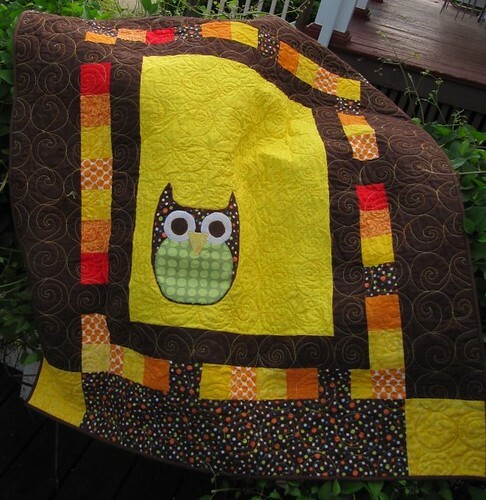 After a ri-donkulous amount of time, I have finished this Owl Quilt – which I made a tutorial for the owl part back in February. 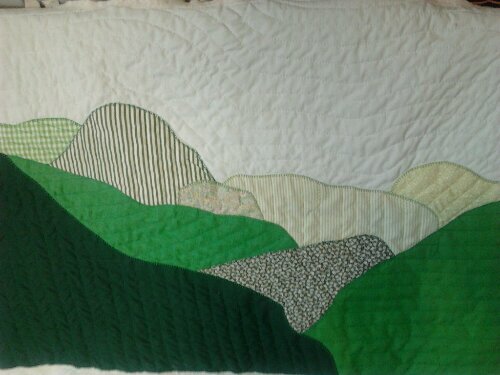 Actually, I finished it sometime in March, but then misplaced it in the move. 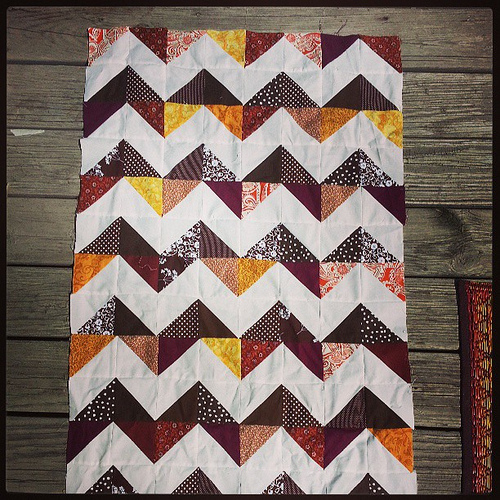 It was in a bag of quilts, so, shocker. 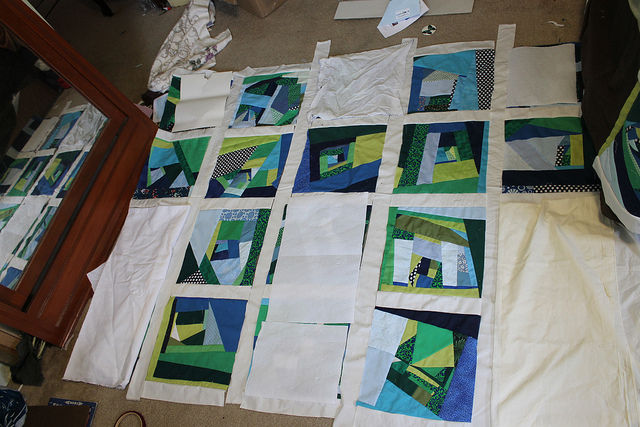 I wanted to talk about how I quilted the quilt – mostly because I like this picture so much: it proves that I really do watch Star Trek and quilt – ergo I am in fact the coolest person on the planet. 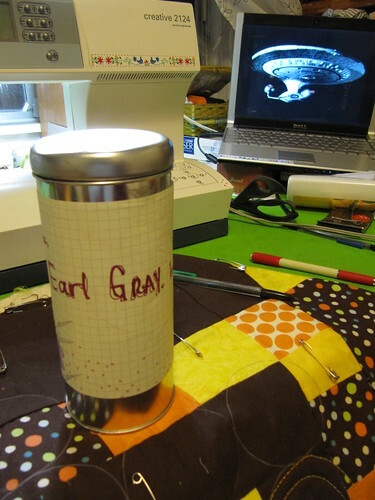 Oh, and yes, I did use an Earl Grey Tea Canister to make the circles for the quilt – Captain Jean Luc Picard’s favorite type of tea, for those who aren’t awesome. 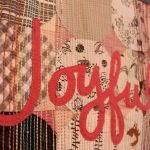 So, I have been enjoying free motion quilting more in the last year and a half – basically since I got a new sewing machine that can do it – but I don’t like working with out a template. 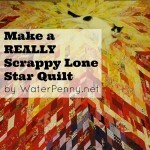 Lots of quilters can make really awesome swirls free-hand but I don’t like mine. I love these super consistent lollipop style swirls. So I drew circles all over the quilt and put a swirl in each one. I used variegated thread, so they look even more like candy. 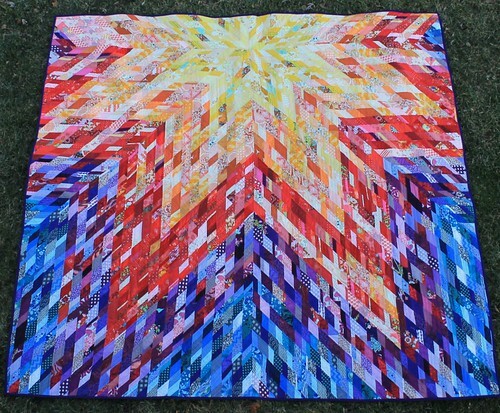 The quilt is for sale on Etsy – not that it will sell, but you know, for the fun of it. Haircut Day! And Consignment Shop Day! Thanks for posting the owl pattern free of charge. 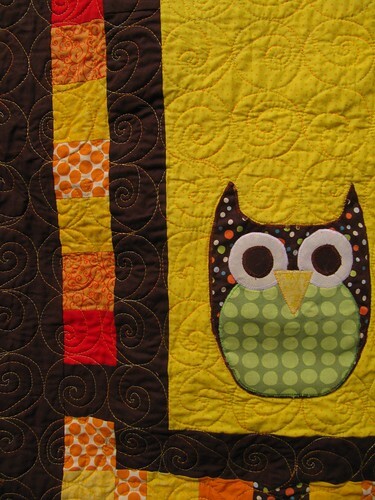 I’m an ultra newbie quilter who seems to developed an affinity for all things owl lately. 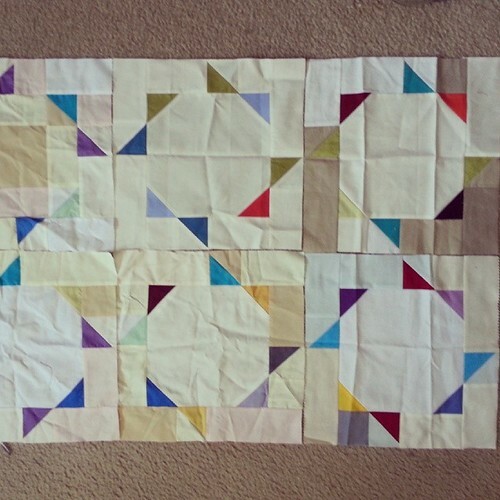 Hopefully, I can manage this without too much trouble.